Through an innovative type of concert for traditional acoustic piano and synthesiser, composer Leonardo Barilaro describes the sea as metaphor and symbol of our life path. The pieces played in SeaSharp explore, at different levels, the cycles and dynamics that the human being experiences. The conceptual show starts from an explosion, where the need to clear the soul urges us to start from scratch again, keeping only the few things that are really important from our previous life cycle. Every piece paints a short story inside the main one, leading to a higher level of self-awareness. The focus of SeaSharp is allowing us to dive inside a dream, to trigger our inner emotions. 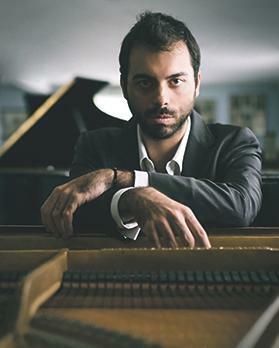 Barilaro started as a disciple of the great pianist Dimitri Romano and graduated from the Conservatory of Padua under Franco Angeleri. He studied composition with Luca Mosca and Claudio Rastelli. Besides classical music, he developed a deep passion for synthesisers and electronic music.